The purpose of this web page, personally made by Dr. Wu and Dr. Lee, is to introduce you to the options and variables which are available in breast augmentation surgeries. The options involve breast implant choices, patient factors, and surgical decisions such as placement of the implants above or below the muscle and location of the incision. But first we're going to introduce you to Dr. Tammy Wu's Modesto Surgical Practice and give you our best links for more breast augmentation information. After that, you will get to the unique section on breast augmentation options. Safety with Two Surgeons: We have two board certified surgeons at Surgical Artistry. Dr. Tammy Wu's husband is Dr. Calvin Lee who is a board certified general surgeon. Dr. Calvin Lee is available for assistance in surgery and for breast augmentation aftercare and recovery. Dr. Calvin Lee is also a breast cancer surgeon. Implant Choices: We have not signed any contracts with any breast implant manufacturer. We have access to all of the manufacturers who have FDA approved implants including Mentor Breast Implants and Natrelle Breast Implants. Sharing Knowledge: Dr. Tammy Wu believes strongly that happy outcomes with breast augmentation surgeries result from making informed decisions. These decisions usually take a good deal of time. Breast Augmentation consultations averages 2.5 hours with Dr. Tammy Wu face to face. And we encourage follow up questions. Breast Augmentation consultations with Dr. Wu involves a fee which is considered the first payment toward surgery. We do have a breast augmentation meeting available for free with our patient care coordinator. Please call us for details (209) 551-1888. No Rushing / No Pressure: Dr. Wu also believes that one needs to think about the breast enlargement procedure and "try on" implants" which can be taken home. We encourage our patients to take their time in the decisions that need to be made regarding implant size, shape, material, and manufacturer. We Believe in Communication: Patient have direct access to the doctors' cell phones for urgent issues. Dr. Tammy Wu Understands breast augmentation on many levels. She is a consumer of plastic surgery herself. Family is All in Medicine: Dr. Wu comes from a family of 16 other doctors (father, brothers, uncles, cousins, and husband). And there are two plastic surgeons in this collections of physicians. She has a big pool of medical experience to draw upon. Dr. Lee's (her husband) parents are pharmacists. Runner Considerations: Being a runner, Dr. Tammy Wu understands breast implants and their special considerations for runners. She is a member of Modesto's Shadowchase running club. And she is the title sponsor of the Surgical Artistry Modesto Marathon. Visit her web page regarding Breast Implant Surgery for Runners - special considerations and precautions. In Modesto, California Since 2003. Dr. Tammy Wu came to Modesto because her husband Dr. Calvin Lee (originally from New York City) at the time wanted to pursue a very busy general surgery and trauma practice. Modesto was a fine place for his trauma and general surgery. Dr. Lee was originally considering a place in Kansas. But because Dr. Wu has relatives in Los Angeles, and Modesto seemed like a better choice than Kansas (since it is closer to Los Angeles). Dr. Lee put his training to good use during his early years in Modesto, CA. Dr. Wu was very flexible about where she wanted to practice. She was even considering a possible University career. Dr. Lee eagerly joined the McHenry Medical Group in 2003, and Dr. Wu joined Sutter Gould at the time. In 2006 Dr. Wu and Dr. Lee decided to form their own practice. Dr. Wu and Dr. Lee loved with Modesto and the patients who trust them. They decided to stay in Modesto, CA for the long term. 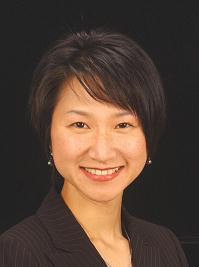 Board Certified Surgeons: Dr. Tammy Wu is a board certified plastic surgeon certified by the American Board of Plastic Surgery and she is a member of the American Society of Plastic Surgery. You can verify her board certification status with this link - you have to enter her formal name as Tzuying Wu (Tammy is her formal middle name). Dr. Calvin Lee is a board certified general surgeon certified by the American Board of Surgery. Check his board certification status here. She Stays Current: She believes in continued education. She participates in the Maintenance of Certification process for plastic surgery. She is the first plastic surgeon in the central valley and surrounding areas to be certified to use the Natrelle style 410 breast implants. These breast implants are also known as the next generation Gummy Bear breast implants - form stable implants which are made of highly cohesive silicone gel. These implants were approved by the FDA on February 20, 2013. Visit this link for more info on the Natrelle Gummy Bear Breast Implants. Strong Educational Background: Dr. Tammy Wu went to Ivy League, Brown University Medical School and she graduated top of her medical school class. She was even accepted to Stanford University for plastic surgical training, She received a very kind call from the Stanford plastic surgery program director at the time. But her goals were different and she chose a Southern Illinois University to train under famed plastic surgeon, Dr. Elvin Zook. Dr. Lee, her husband, also went to Brown University - in fact they were in the same special class of medicine bound students. They were both part of Brown University Program in Liberal Medical Education where they admit only 60 students per year for this 8 year medical education program. Dr. Lee gave up his admissions acceptance to Harvard, Stanford, and Yale (he was accepted to every university that he applied) to attend this program, as did many of the other students in this highly desired medical education program, and Dr. Tammy Wu at the end, was given an award for graduating at the top of the class at Brown University Medical School. Dr. Tammy Wu and Dr. Calvin Lee operating together. Dr. Calvin Lee is sitting, he is really not that short! but is available for assisting with Tummy Tuck surgeries. We hope you like these web pages which Dr. Wu and Dr. Lee have personally made, we have worked hard to provide as much information as we can in your research regarding breast augmentation. If you are serious about breast augmentation, these are high quality pages. Please feel free to link to them if you have your own web pages. 1. Detailed Breast Augmentation Info written by Dr. Tammy Wu - includes discussion of saline vs. silicone, safety, under vs over the muscle for the breast implants, the cost of breast augmentation, and different incisions used for breast augmentation. This FAQ page Includes a video by Natrelle/Allergan Inc. (manufacturer of breast implants - this video requires flash and may not work on all devices - especially mobile devices). 2. More reasons to consider Dr. Tammy Wu for your Breast Augmentation Surgery - this is similar to the reasons listed above, but the list goes on because there are many reasons why we are so proud to have Dr. Tammy Wu as Surgical Artistry's Breast Augmentation Plastic Surgeon in Modesto, CA. 3. The Breast Augmentation Consultation with Dr. Tammy Wu - if you are serious about getting breast augmentation. You should consider reading this page to get an idea of our detail oriented breast augmentation consultation with Dr. Tammy Wu. You will have about 2.5 hours of personalized time with Dr. Tammy Wu, your plastic surgeon. You will be covering topics of breast implants, sports considerations, pain reduction, longevity of the breast implants, and surgical pain reduction during recovery from breast augmentation. Plus afterwards, you will meet with her assistant regarding costs and scheduling. So reserve about 3 hours or more to be at our office. masks covering up their faces. In addition to your breast augmentation goals and body shape (breast implant patient variables) there are many other variables to consider. We've separated the variables into breast implant options, patient aspects, and breast augmentation surgery variations. As you can see, this is part of the reason why the breast augmentation consultation could take some time. Breast Implant Size - usually measured in CC's (cubic centimeters). The size should be a joint decision between you and Dr. Tammy Wu. It is based on much more information and measurements than bra cup size. Breast Implant Width - meaning the width of the base of the implant. If the implant is too wide, not only can the appearance be less than optimal, it can also lead to problems like symmastia (commonly called "uniboob"), which is a condition in which the cleavage disappears due to lack of space on chest. Additionally, the stress on your breast tissue may lead to other future problems. If it is not wide enough, there may be too large of a gap in between the breasts, leading to a less than optimal outcome. Breast Implant Shape - while there are different shapes to the implants, such as the anatomical, or tear-drop shape and round shapes, the round implants are most commonly used in breast augmentation. There are situations in which an anatomical shaped implant may be better for your body, but that is something that Dr. Wu would discuss with you during consultation. Breast Implant Projection - there are different styles of implants that have different amount of projection. Generally speaking, there are three: moderate profile (the original projection of implants - also called the Style 10 for Natrelle implants), medium profile (or Moderate Plus Profile for Mentor implants and Style 15 for the Allergan Natrelle implants), and high profile (which had the highest projection before some of the new implants that have come out - and this is the Style 20 in the Natrelle implants). Now there is an even higher projecting implant than the High Profile (Mentor) or Style 20 (Natrelle). It is the Style 45 (Natrelle) and the Ultra-High (Mentor) projection implant, which is designed to accommodate individuals with small chest who may desire larger volumes. Breast Implant Filler Material - silicone, highly cohesive vs saline. But the shell of both saline and silicone gel implants are both made of silicone polymers. We're going to address the pros and cons of saline vs silicone gel implants on another web page to be made soon! Breast Implant Shell Characteristics - smooth vs. textured. Textured implants were designed to minimize capsular contracture. But studies have shown (PRS) that if the implants are placed under the muscle (subpectoral or submuscular), there is no difference in the rate of capsular contracture for either smooth or textured implants. Therefore, the textured implants lose their advantage of decreased contracture rate. The textured implants, however, have been shown to have a higher spontaneous rupture rate (PRS). Therefore, these options are discussed in detail with Dr. Wu during the consultation to make sure that you make the best choice for your body and your needs. Breast Implant Manufacturer - Allergan vs. Mentor. Currently, these are the two main manufacturers of breast implants in the USA. Both companies' headquarters are located in Santa Barbara. The main differences between the two companies' implants are the dimensions and the projection, as well as the volumes. Mentor implants are all made in the USA in Irving, Texas. Manufacturer Breast Implant Warranty - Both companies, Allergan and Mentor, warranty their implants for 10 years. This warranty comes directly from the implant companies themselves. For every pair of implants that are placed inside an individual's body, the implants are registered with the respective company. The limited warranty, provided directly by the implant companies, will give you a set of implants free of charge regardless of the timing of the rupture, ie, it does not matter whether your implants rupture within 10 years or beyond 10 years. However, you do need to be able to prove the brand of your implants in order to activate this portion of the warranty. The main difference is that within 10 years, the implant company will pay toward the replacement surgery, usually up to $1200. One can purchase an "extended" warranty, but this warranty does not extend the life of the warranty beyond 10 years. This extended warranty provides up to $2400 toward the implant replacement surgery should the implants rupture within 10 years. Beyond 10 years, again, there is no monetary compensation toward the replacement surgery. Skin thickness - if your skin is too thin and the implant edges can be felt or seen as ripples, you may want to consider placing the implants under the muscle. Skin envelope issues - previous breast implants can create excess skin. The opposite problem of having too much skin poses a challenge as well - especially in the selection of the proper breast implant. Sagging issues - will a breast lift be needed? Previous scars from previous surgeries - ie. Breast Cancer operations? Athletic goals - running or body building? Symmetry - most patients are not symmetrical to begin with. Existing breast size and tissue quality. Location of breast augmentation incisions / Location of scars - There are three main locations of these incisions: below the mammary crease, around the areola, and in the arm pit (axilla) area. Hopefully you haven't been overwhelmed by our breast augmentation options list. There's actually more variables than what we've listed. Dr. Tammy Wu will help you navigate through choices and decisions regarding your personalized Breast Augmentation experience. Of course safety is our foremost concern. Please do visit our Top 3 Breast Augmentation Web Pages - links are above. The links below are less important for breast augmentation patients. Our Breast Augmentation Links - breast augmentation links to our own web pages. Breast Enhancement - has video on reconstruction by Natrelle/Allergan Inc.
Our medical office is located next to the post office on Sylvan Ave, in Modesto. Dr. Calvin Lee and Dr. Tammy Wu work here.